Creating a service dog is a labor of love that begins even before a puppy is born. Many different people contribute in many different ways along the journey from newborn puppy to working service dog. Will you help us turn a puppy into a gift of independence for one of our nation’s Veterans? A puppy’s preparation to become a Hero Dog begins in the generations before the puppy is even born. We do not currently have a breeding program of our own; all dogs in the Hero Dogs program are donated to us by conscientious breeders whose priorities are the health, temperament, working ability, and longevity of their dogs. To learn more about what our requirements are to donate a special puppy to our program, please see the breeder information page. A puppy transitions from the breeder’s home to Hero Dogs between 8 – 12 weeks of age. The puppy has a thorough examination from our veterinarian and then spends the first week or two in the home of one of our staff members. Here the puppy is started on house training and crate training, leash walking, basic commands, and an all-around good schedule of eating, sleeping, exercising, working, and playing. A puppy raiser is then selected to raise, train, care for, and love the puppy for the next *14 – 16 months. Puppy raisers are responsible for teaching their puppies house manners, all of their basic commands, and numerous foundation skills for service dogs. To assist them in this important job, puppy raisers bring their puppies to training class at Hero Dogs once a week while they have the puppies. Puppy raisers take their puppies everywhere they go in the community so that the puppies are exposed to and comfortable in virtually any environment they may encounter later in life when working with their Veteran partners. If you think you would like to take on this most meaningful of all projects, please see the puppy raiser page for more detail. Once the puppy reaches the age of approximately *16 – 18 months, the puppy’s health and temperament are further evaluated for suitability for service dog work. Qualified puppies then leave their puppy raiser homes and enter the second phase of training with professional trainers at our facility. Click here to see the status of all of the Hero Dogs in training. If you are a breeder of high-quality Labradors or golden retrievers, please consider donating a special puppy. If you can’t commit to becoming a full-time puppy raiser, become a puppy sitter (please read all the information on the puppy raiser page as well). 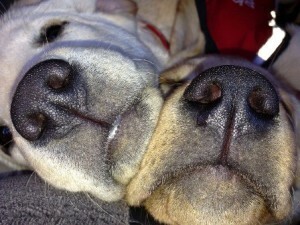 Support a puppy’s journey financially through a Puppy Sponsorship or Puppy Scholarship. 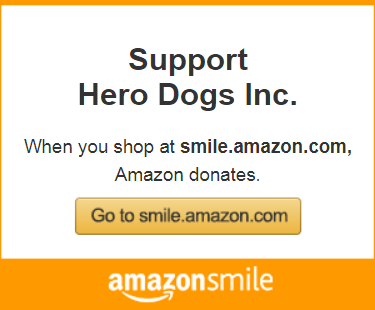 Visit the all dogs in training to donate directly to a specific dog. * As not all puppies mature at the same rate, these timeframes are general guidelines that are considered prior to moving a puppy into the next phase of training.